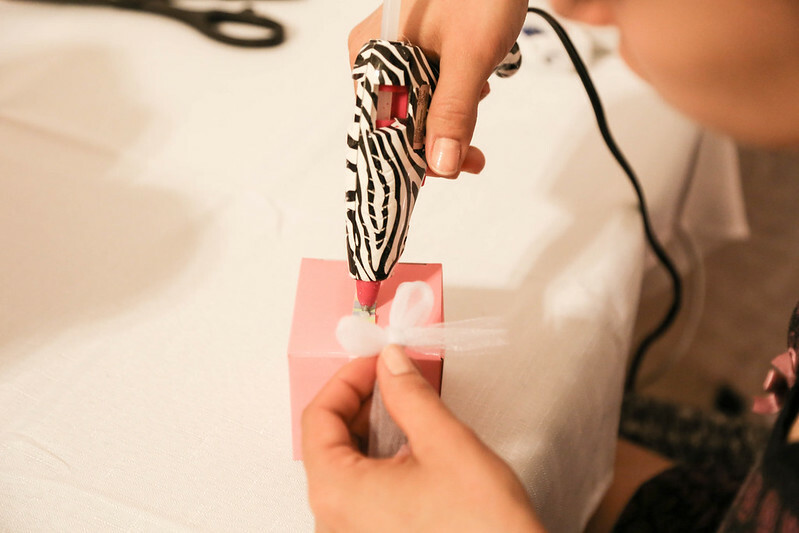 I will warn you; when I plug in a glue gun, it's difficult to unplug it. I simply get glue-gun happy! For the party favors I wanted to do something extra cute since it was going to be sitting on the main table where the cake was. 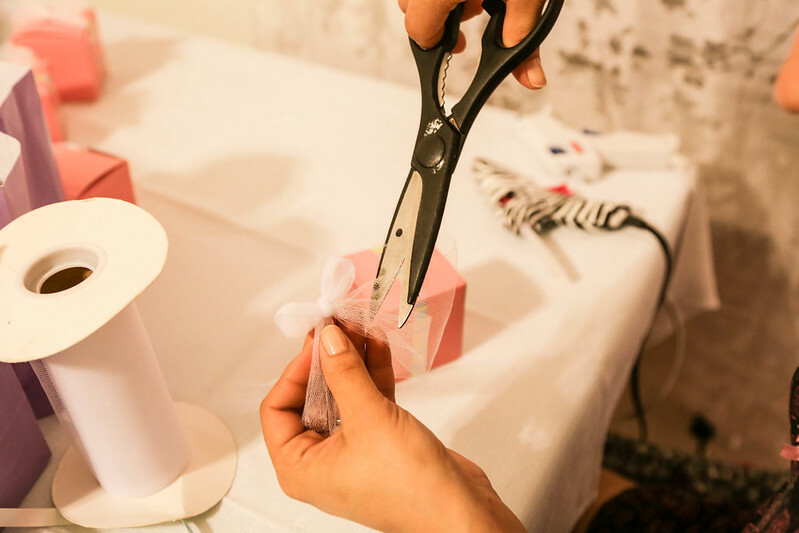 I used White Tulle Spool to make small bows for the favors. Then glued them on top of the ribbon. In each Pink Cube Treat Box I added Mini Playdoh and Topps Ring Pops. I didn't want to add any candy since we had a piñata and we had sweet around the house. 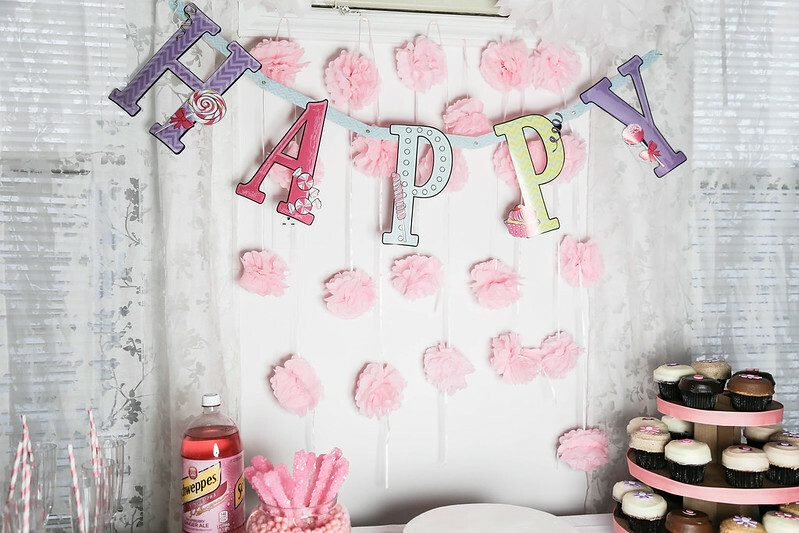 This Pastel Curling Ribbons are perfect for birthday parties or any arts and crafts activity. 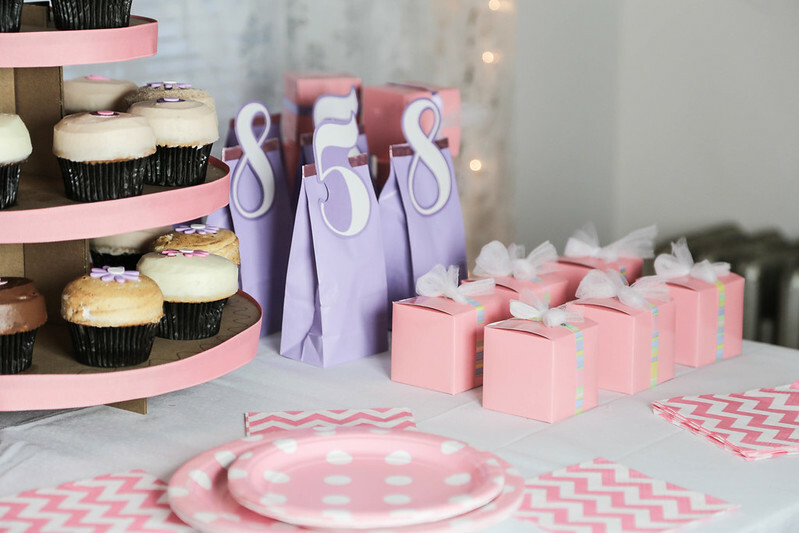 I used the colorful ribbon for the pink boxes and the pink ribbons to add a pretty touch to the Mini Lavender Paper Treat Bags. 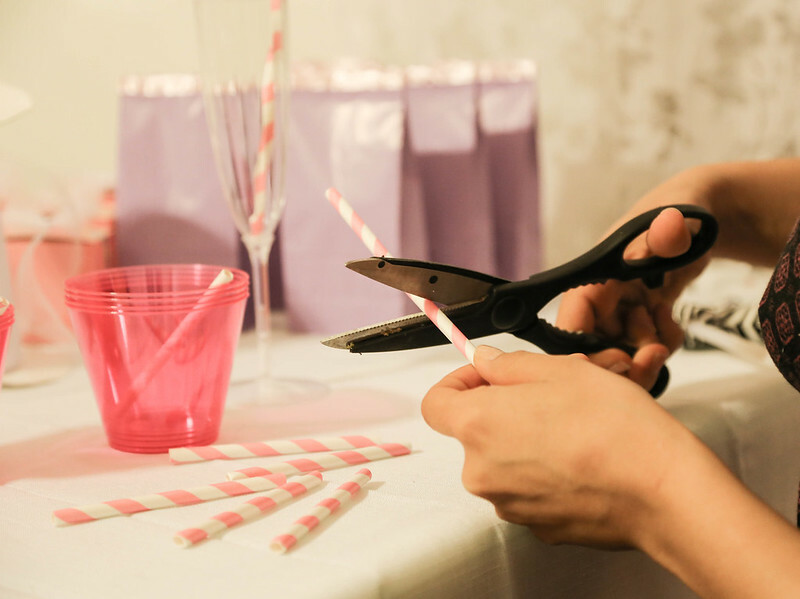 I found the straws a little long for the bright pink plastic cups I chose. 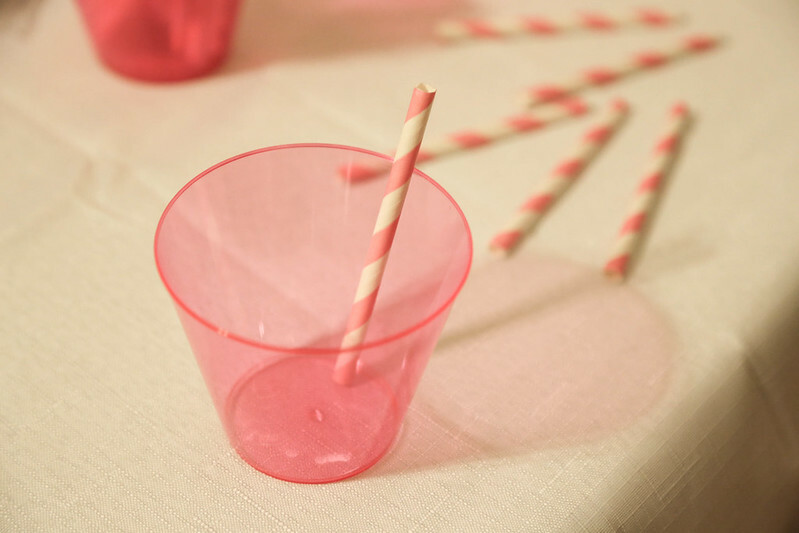 Therefore I cut these striped paper straws in half and they fit just right for the kids. 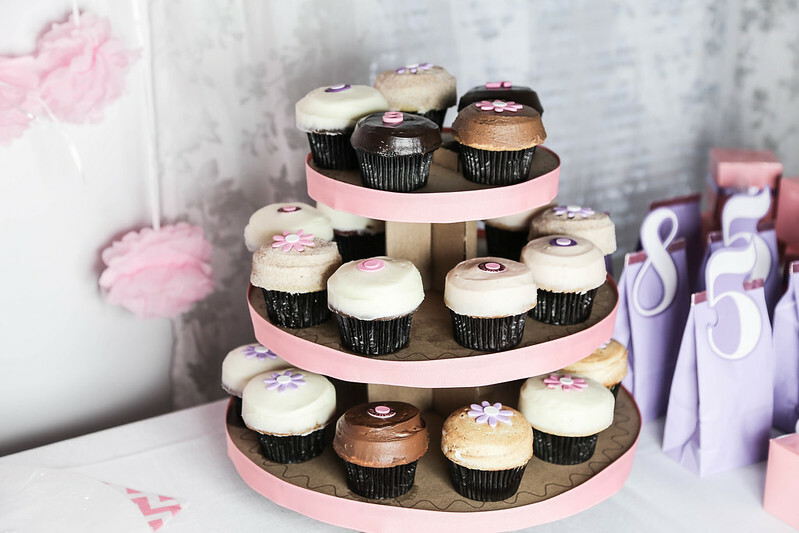 A kids birthday party isn't a birthday party without Sprinkles Cupcakes! 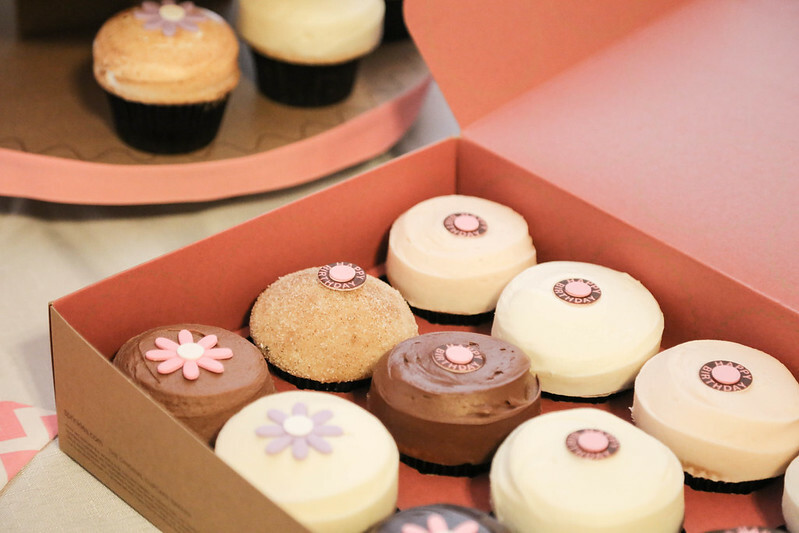 I ordered two dozen cupcakes online and customized them myself. I chose the flavors and decorations on each one. I also ordered the tower to place them on. My favorite one was definitely the red velvet! It was so hard to keep them looking this pretty until I took this photo. Kids couldn't keep their hands off them. I ordered two Dominican cakes (my favorite!) one pineapple flavor and the other guava. I asked the baker to only add white frosting because I wanted to decorate it myself. 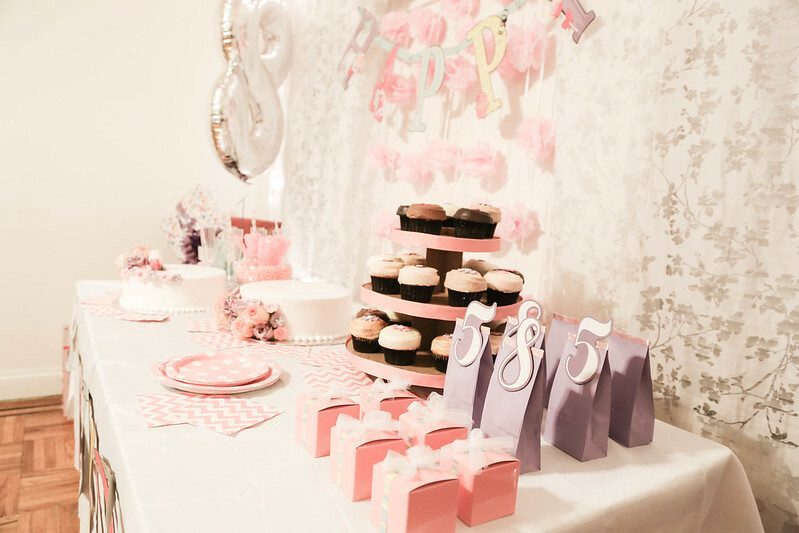 I added pink, purple and white roses to add a girly yet elegant feel. 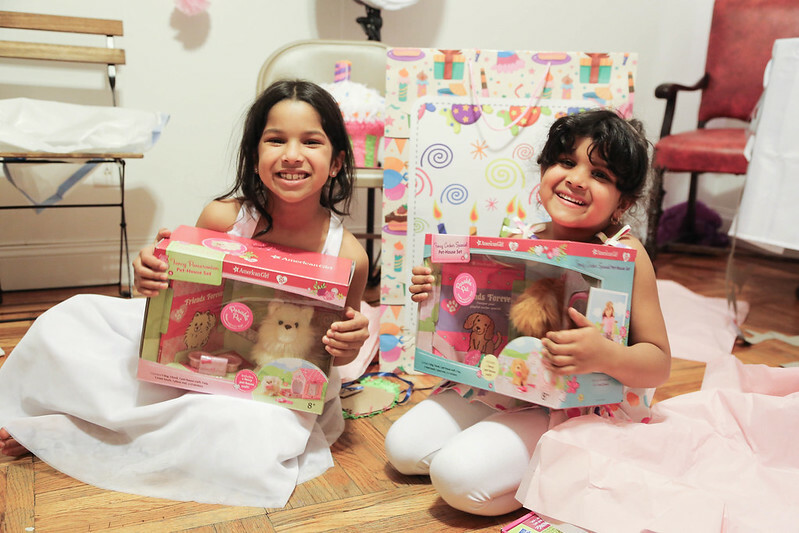 Zareena was turning 8 so she didn't want anything too babyish. She loved the outcome. 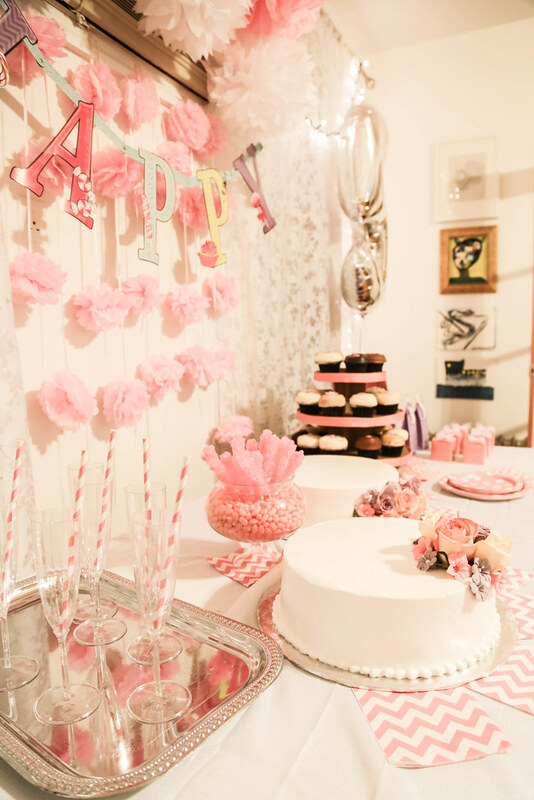 To go with the pink theme, I added Light Pink Jelly Beans in a Clear Plastic Pedestal Bowl and stuck Pink Rock Candy Sticks into it. 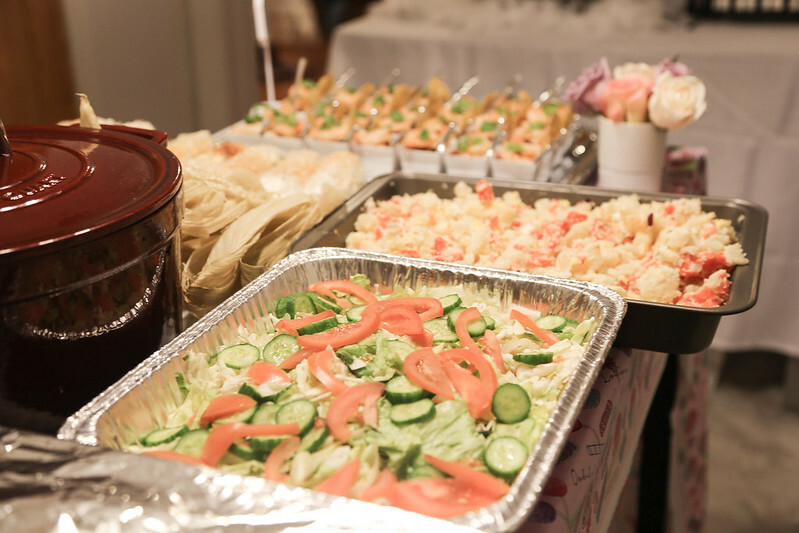 I've hosted parties before and always find myself repeating myself when it comes to informing people what they are eating. To make my life easier I got these Chalkboard Place Card Holders to write the name of the items. They worked like a charm and they're reusable! 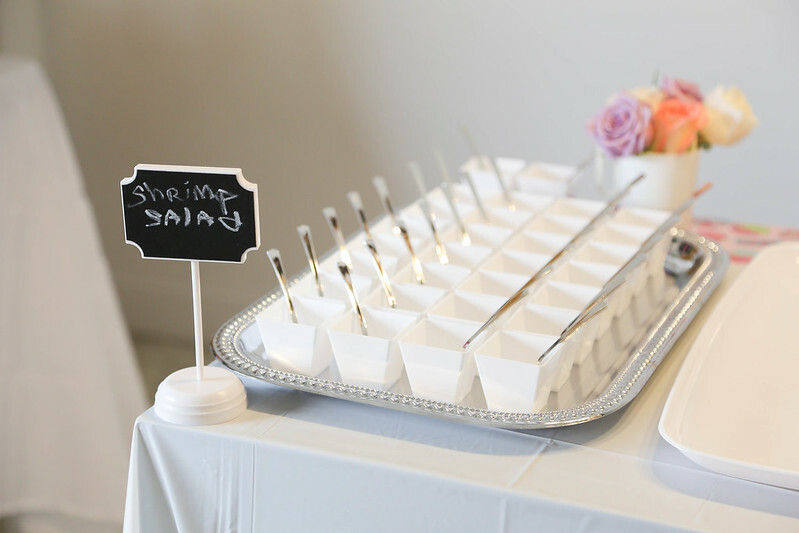 I served a black bean and shrimp salad in the most adorable mini white plastic cubed bowls. 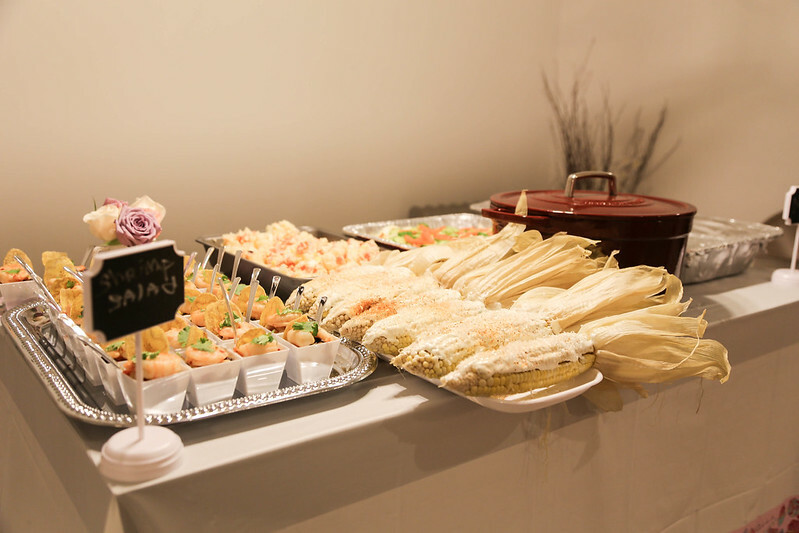 In each bowl I added a mini silver plastic fork to make it easy for each person to grab and eat. 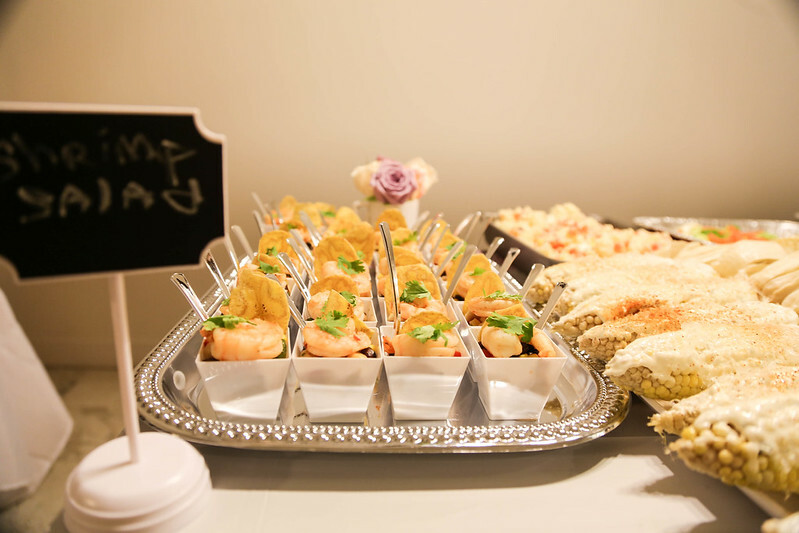 I placed the bowls on this beautiful silver metal rectangular tray which made everything look super fancy. 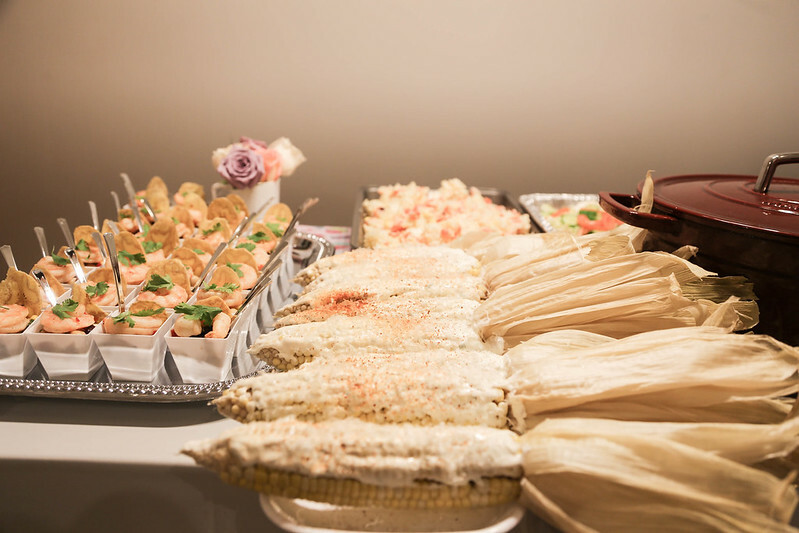 I served grilled Mexican street corn in this white plastic rectangular platter. I loved how everything stood in space even after each person took their portion. 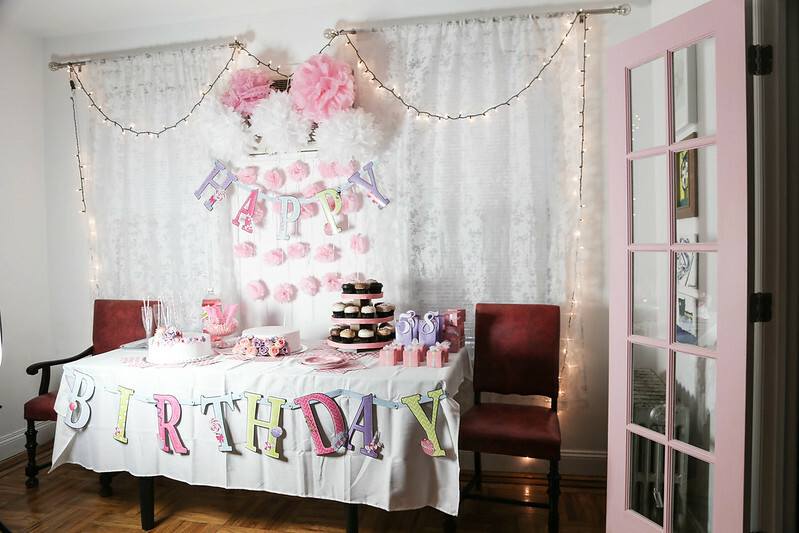 I didn't want to be super boring and use white table cloths all around so instead I continued the sweet theme with this pastel birthday sweets table cover. It added the right amount of fun to the table. 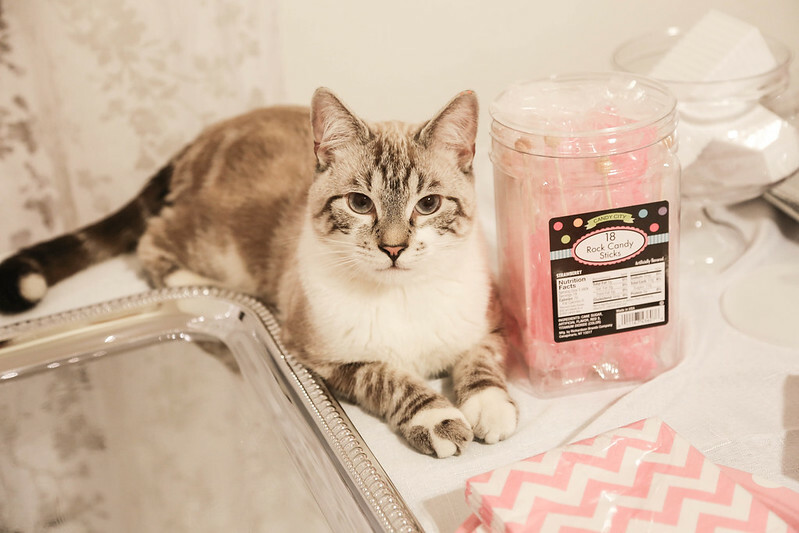 I wanted to provide a variety of treats to my guest not all being super sweet. 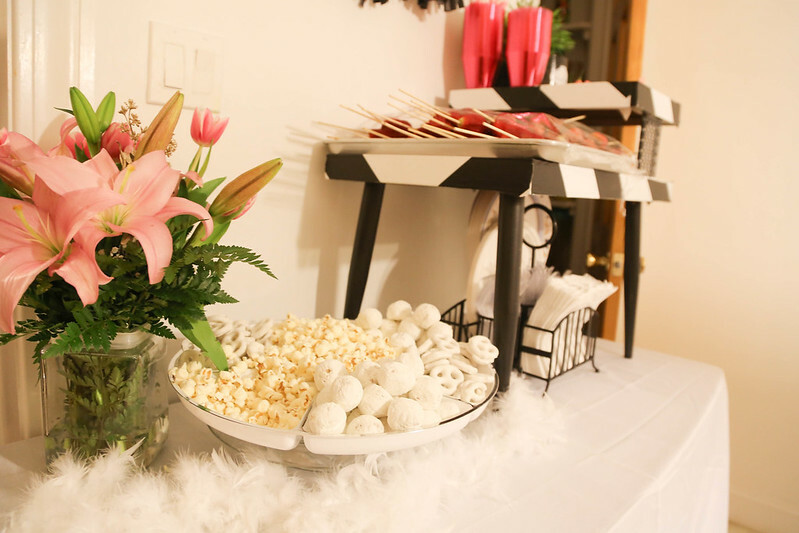 I added yogurt dipped pretzels, mini powdered donuts and white cheddar popcorn in a silver trimmed white plastic sectional platter next to a beautiful bouquet of Lilies. 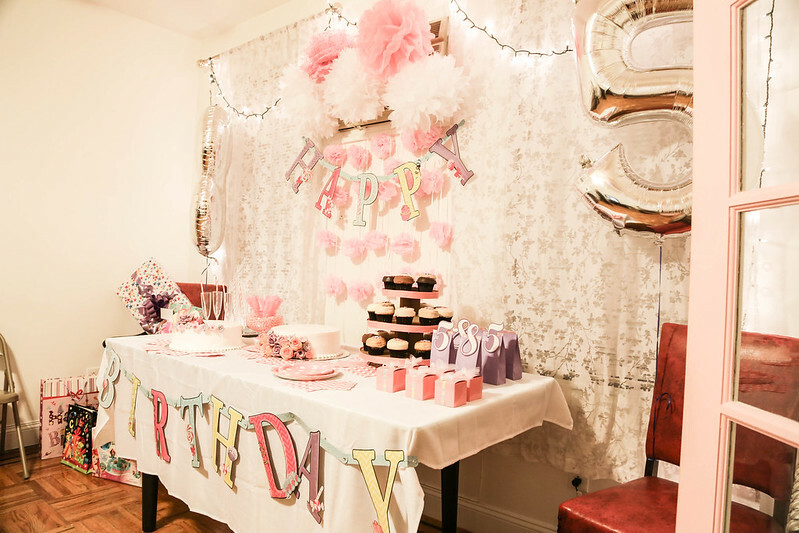 To decorate the table I used another white table cloth and a White Feather Boa. 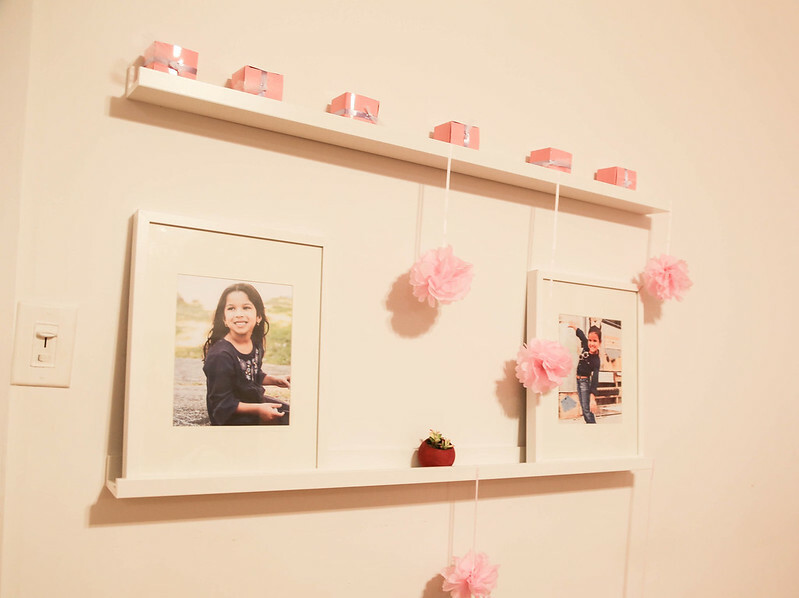 I cut Light Pink fluffy Garland to decorate the shelfs where I framed photos of Leanne and Zareena. 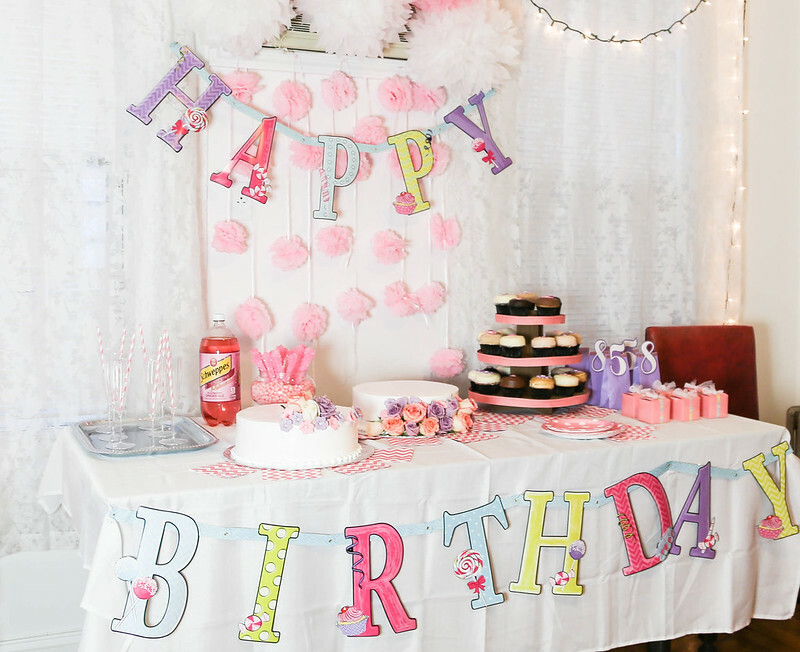 The Happy Birthday Banner was too long for my space so I went ahead and cut it into two parts. I though this was much better as you're able to take photos behind the table and still see the banner. 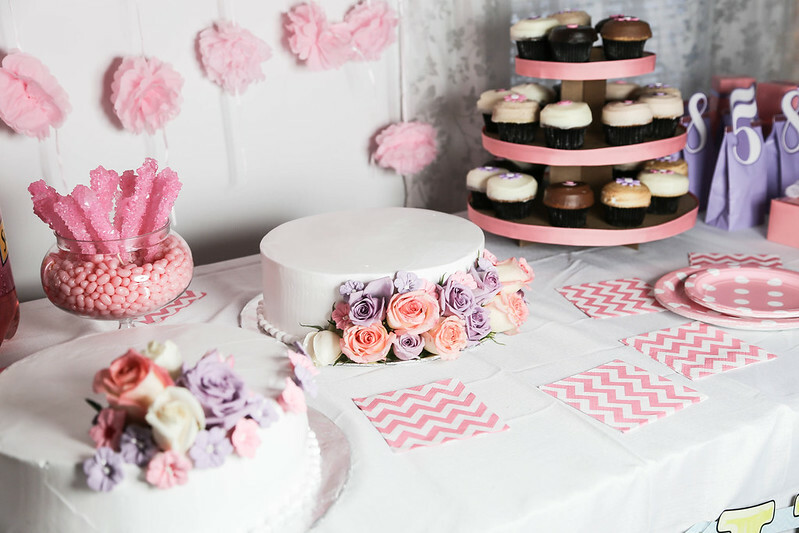 I love the idea of having lots of White, Bright and Light Pink Fluffy Decorations on a wall behind the cake. Unfortunately, making these little suckers is harder than it looks. If you find them already made buy those instead. 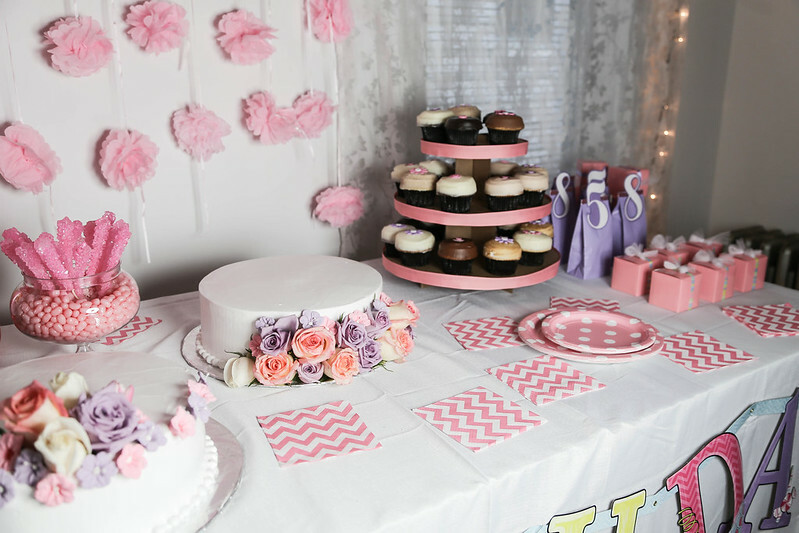 For serving the cake I got Pink Polka Dot Plates and larger ones here. 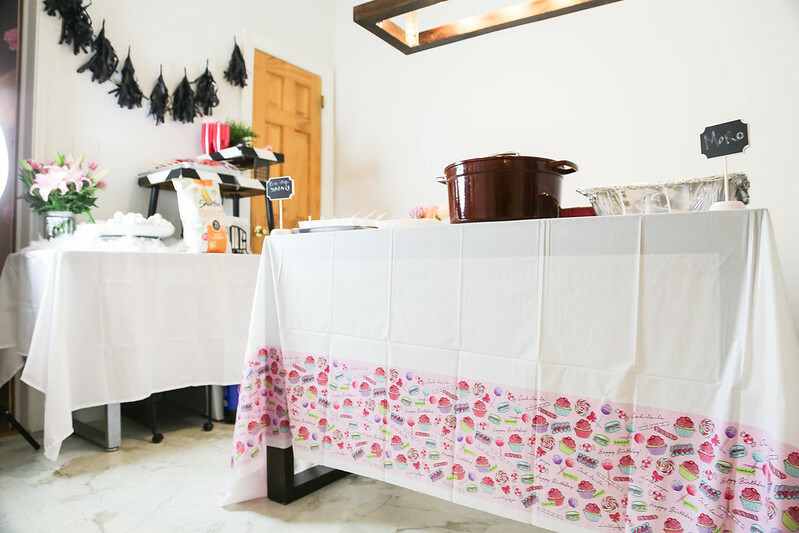 This White Polyester Table Cloth looked very plain so I used these Pretty Pink Chevron Napkins as decoration. I needed to have extra large balloons like this Silver Number 5 balloon and this Number 8 Balloon. 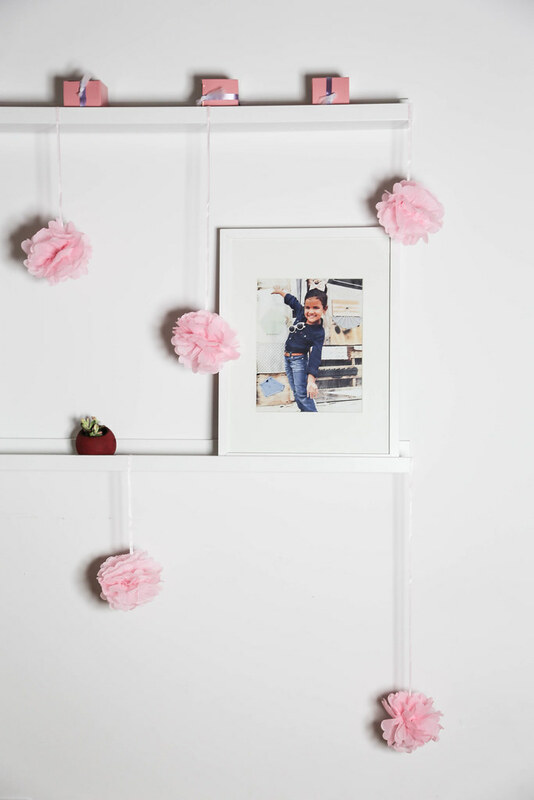 Perfect for photo props. This was probably everyones favorite part! 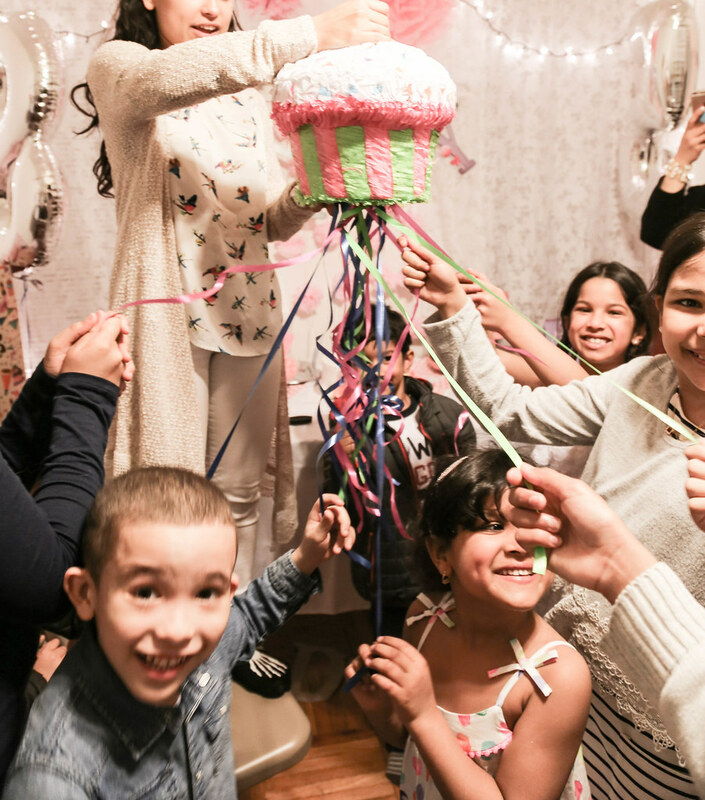 The cupcake piñata! I loved this one in particular because each child had to participate in pulling the strings in order to release the candy. I filled the piñata with Starburst, Jolly Rancher, KitKat, Reeses and a few more. 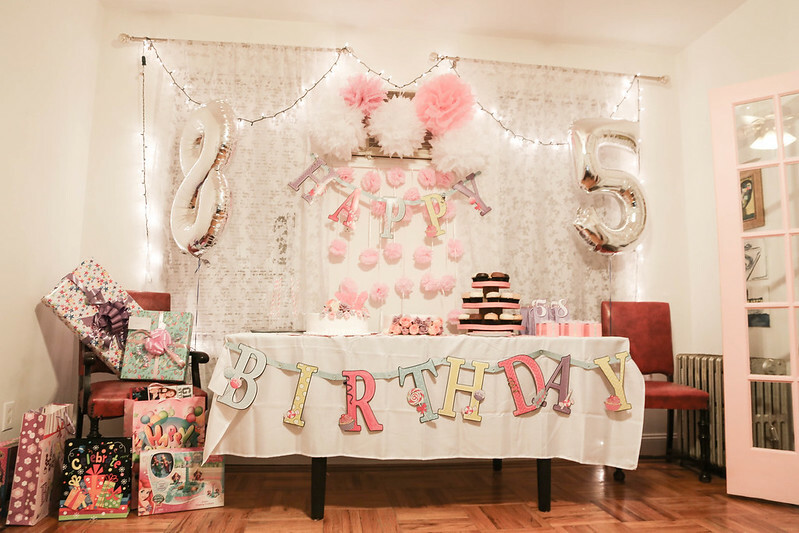 The party was a huge success!! 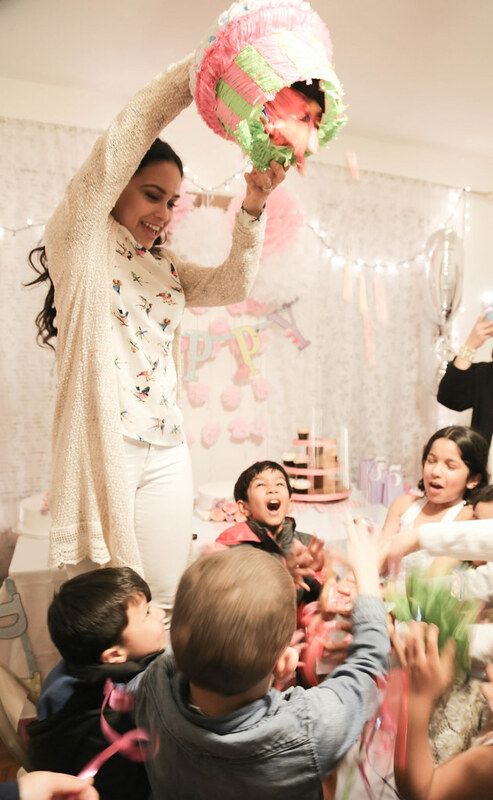 Thank you Party City and Sprinkles Cupcakes for being the highlight of it all! I love this! 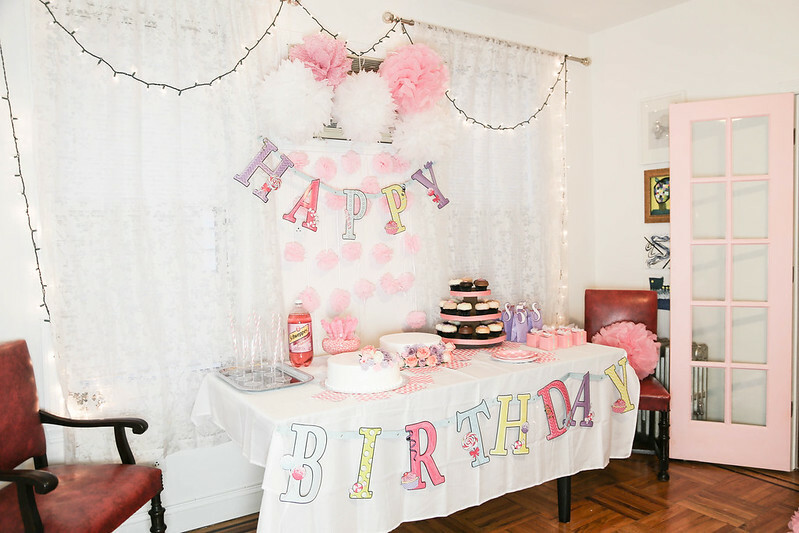 Super girly and creative! Excellent job!